In digital music industry today, using vsti's (Virtual Studio Technology Instrument) became one of the reasons to make cheap *even free - electronic music. Vsti can replace physical synthesizer and another musical instruments like drum and guitar in the music making through Digital Audio Workstation softwares like Fruity Loops, Ableton, and etcetera. If you are a beginner in learning electronic music, you may realise that most of the production is using physical keyboard instrument to make it easier besides you must know the basic how to use it. Can't afford a keyboard? You can use DAW softwares for emulating and playing the synthesizer as the alternative, but it takes more times to understand it. 2. You need a Vst to run the synth, so you may look for the synth first, there a lot of synth (vsti's) that you can download for free or paid. Find it HERE*: For demo usage, you can download DAVOSYNTH that i uploaded HERE. 3) It just need 5 seconds to finish downloading, extract the file with Winrar, and then open SAVIHOST.exe , the pop-up windows will appear, if you done to download the vsti and extract it, just open the .dll file with Savihost. 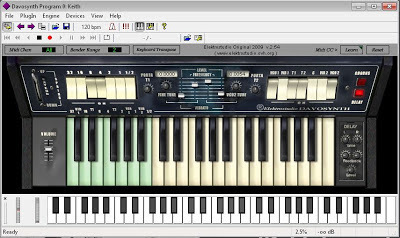 4) And, you can start to jam with the synth, you can use PC/Laptop keyboard to play directly, try to push Z to / , its recommended to use MIDI keyboard controller to start rockin if you can afford for that one. 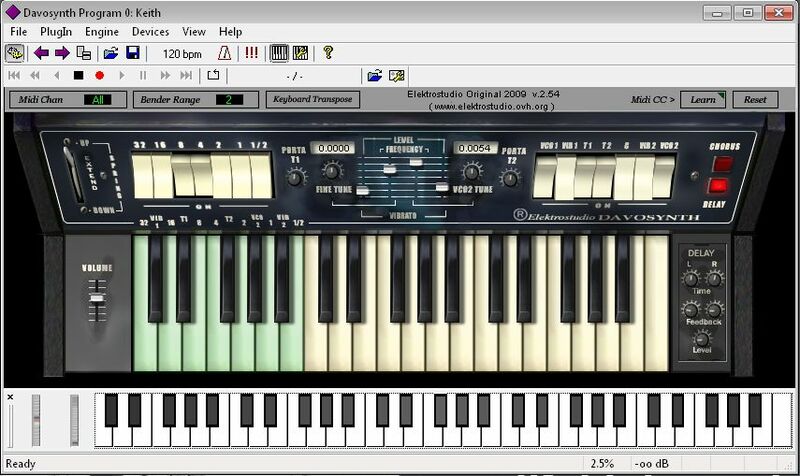 You also can tweak the knobs and change the sound banks *its depend on the typical synth that you emulate. 5) Savihost is small program*just less one megabyte - not included the vsti's, its very useful and easy to use, not only playing, you even can do recording.